Blog #8: Is medium the Message? Is medium the message? To answer that simply, yes I believe it is. The medium used to communicate a message can have a bigger impact than the message itself. When you receive a birthday wish over the phone its a lot more personable and meaningful than a simple Facebook post. When someone tells you they love in person it means a lot more than over text. If someone apologizes over text it doesn’t feel as sincere than if someone tells you they’re sorry in person. The list goes on and on. In this blog https://virtualworldnmfsfall11.wordpress.com/2011/10/29/painfully-coming-to-grips-with-the-medium-is-the-message/ McLuhan mentions that we’re a society that overemphasizes content. I completely agree; I think we give to much importance on the content and not enough in the medium it was sent. Examples like ‘Sorry’ or ‘Happy Birthday’ over text are not the same as in person but some people will feel satisfied either way. Social media is definitely to blame for this, society has a never-ending appetite to get likes and favorites on their tweets/posts/pictures. But what does it really mean to get a like or a favorite, ‘virtually’ nothing. Whatever happened to telling someone they’re great/beautiful in person. Now we just post it on social media and think it’s analogous to giving them a compliment in person. Now I’m not saying all people are like this, but I see it a lot in everyday life. We associate getting lots of likes or having a lot of friends with popularity. Another example where medium is the message is in a classroom. When a teacher has powerpoints 100 slides long filled with a lot of information, some people might find that to be more beneficial than the professor writing stuff on the whiteboard because teachers go through more information that way. However the medium in which the class is being taught can have a big impact on how much information a student retains. If a teacher uses less content and uses a medium that is more beneficial to student’s learning than it’s better teaching in the long run. Interacting with students, asking questions, having students write information, having them repeat is better than going through lots of Powerpoint slides and them not remembering anything of what was being taught. With the rapid growth of the Internet and the increasing amount of information accessible to people it’s easy to overlook basic copyright laws. I for one was unsure what Copyright Laws are enforced for the Internet. It’s so easy to copy and paste somone’s work on the Internet without people finding out. If you have an essay to write, many people are tempted to just look up the information and copy and paste it directly into their document. However, eventhough your professor might not find out, this is still considered copyright. The law has made this change recently and anything posted on the internet is protected, just like a published article or book would be. What many people don’t know is that eventhough it doesn’t include a copyright notice it can’t be copied. An interesting article I found was http://www.lextechnologiae.com/2011/06/17/extending-real-world-laws-to-virtual-worlds-is-a-terrible-idea/ . It talks about implementing real laws into vitual worlds. There’s controversy about whether or not the government should interfere. However , the whole point of a virtual world is to escape from the real world and have a new identity, this makes it hard if real world laws are introduced in these games. It can prevent the virtual world from expanding and evolving. However this article proves some good points. If people are harassing eachother on these virtual worlds and preventing them from enjoying their time then there should be laws enforced. Cyberbullying can also happen in virtual worlds and is increasingly been a problem as social media is being used more and more. In Ohio luckily they have a both a law and a policy against cyberbullying which encompasses harassing, intimidation and bullying. Three of which can happen in a virtual world. This class has proven to be harder and a lot more work than I expected. However, it definitely had a lot of good aspects to it. For starters being introduced to the idea of a virtual world and learning how to create a virtual identity was a whole new experience to me. It’s amazing how you can appear to be a completely different person on the Internet just by the way you represent yourself (images, ‘handle’ or name, profile). Someone’s virtual identity can be completely different than their own identity. It provides a substantial role for a lot of programs out there and is useful for self-expression and virtual collaboration. To be completely honest I found Second Life extremely confusing at first. I wasn’t sure how to navigate around the Akron island, let alone customize my own avatar. Slowly I got the hang of it, I was able to explore different islands with other avatars and use it as a means to communicate with my group. The only problem it ever gave me were sound issues. A lot of the time my team members would get cut off or there would be a lot of noise and I couldn’t make out what they were saying. The same goes for me, my team members weren’t able to hear me very well. I don’t know if this was due to bad connection or if there was a lot of traffic on SL causing this. For the presentation the same thing happened and many people commented that they couldn’t hear us, this is a shame because the audience probably missed out on some good points. But just like everything in life, there are setbacks. We were able to overcome the difficulties and give a good presentation on the project we had been working on throughout the semester. We decided to do our project on Mental Health, a topic that is very taboo for some people. it’s not discussed as often as it should and people lack knowledge in the subject. To create awareness we created a FB page, invited our friends, and posted daily. We used different types of communication to convey our message: pictures, blogs, Youtube videos. We didn’t get any feedback which is understandable because it’s a touchy subject however, a lot of people saw our posts and clicked on the links. At the end of the day people became more knowledgeable on the subject which is more important than getting likes or comments. I think we did a good job in choosing a variety of mental disorders to reach a bigger audience and posting frequently to keep them engaged. I preferred our group project over our weekly blog posts. Working alone in an online classes makes procrastinating so easy because there is no due date, you’re allowed to complete assignments at your convenience and you have no one on your back telling you to complete the work. However, this led me to fall behind in the class and not complete the assignments within a decent time frame. Especially towards the end of the semester I was bombarded with work and exams it was hard to give priority to the weekly assignments. Once the hard part was over I was able to focus more on the group project and catch up on the weekly assignments. One suggestion for this class would be to let students know about the SL meetings on Thursdays ahead of time. I had a class scheduled at that time all semester and not being able to attend the meetings made me feel out of the loop and confused at the beginning. If I would’ve known I probably would’ve scheduled my class for another time. Overall, this was definitely a unique class and got a lot of insight on the realms of virtual communication. I learned to cooperate with my team members solely through online technology, learned how to create a virtual identity and learned the usefulness of communication in today’s society. Looking through my drafts i realized that I never actually posted blog #4. So here it is two months later. Better late than never, right? 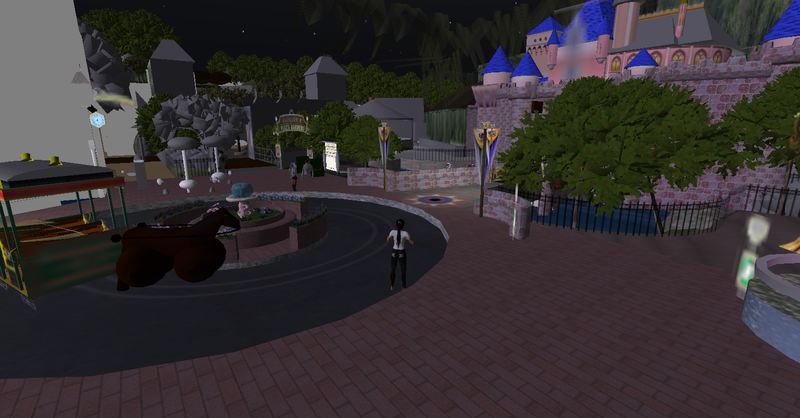 Me, Jamie (dancer1130) and Becky (becktronsecondlife) decided to go exploring on Second Life. We decided to go to the happiest place in the world… DISNEYLAND… or at least a tribute to it.. However I was amazed to see that it actually resembled the one that I had been to in Paris. There were a lot of interesting attractions and definitely was decorated like the real thing. They even have a Disney castle! Colored teacups which are very similar to the ones I rode on in Paris! There were lots of cute shops in the entrance including a hat shop, an arcade, a photo shop and a movie theater. 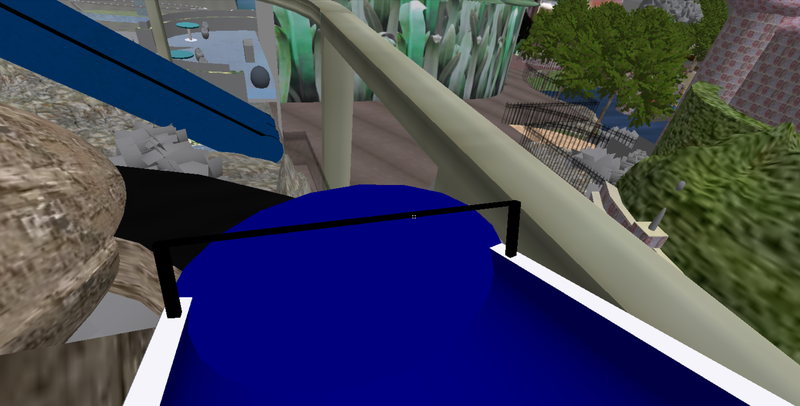 I didn’t realize Second Life could offer so many features, it’s amazing how a virtual world can give you the feeling that you’re at the real thing. I was amazed at the vast things to do in this world, I spent an hour just exploring and it felt like the place was never ending. As the semester comes to an end I realize that the work keeps piling up more and more. With only 3 weeks left of school plus finals week I seem to have very little spare time to accomplish everything. Out of all my classes this is definitely the most unique. I’ve really liked communicating with people from different schools. It’s definitely an eye-opener and makes you appreciate modern technology and how it enables us to stay in contact despite being an ocean away. Initially the time difference made it hard to set up meetings in SL; it seemed like we could never all meet at the same time. Not only because of the time difference but also because of our conflicting schedules. But we decided to create a private FB group which enables us to post on our own time. The time difference can impede communication from being instant – for example if I post something at night my time, the students in Dublin won’t see it until the morning their time, or if they post something in the morning their time I won’t see it until I wake up. But despite this, the communication among each other has been pretty effective. One benefit of online communication is that you get to meet and work with all types of people. It’s hard to put a face or a personality to someone you’ve never met, but the group project has enabled me to get to know them better. I think for right now the time difference isn’t an issue as we have a Facebook group that seems to be working efficiently. For our group project we finally found an efficient method to communicate. 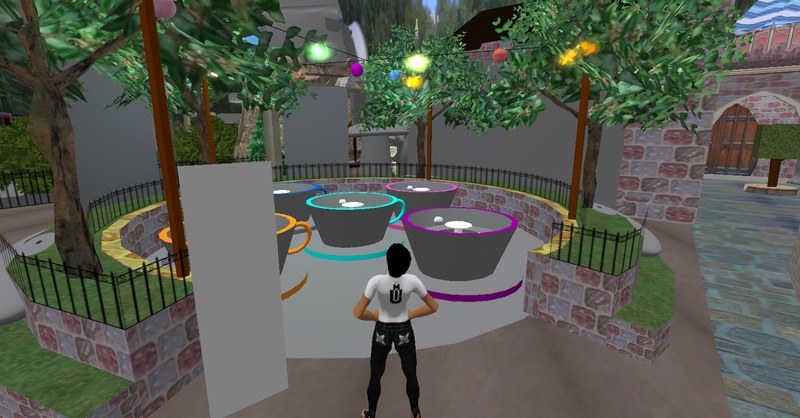 Because I have class on Thursday I am unable to meet on SL so I feel like I’m out of the loop sometimes. But my team members have been informing me about what is talked about in every class. After tweeting at each other several times we decided to open a private Facebook group to facilitate communication amongst one another. In order to join this group we had to become Facebook friends. This gave us the opportunity to put a face to the virtual identity we we’re previously communicating with. This has been efficient because most people check Facebook daily and whenever someone posts something new we all get a notification. Therefore within a day we’ve all seen the update and have responded. With our conflicting schedules and the 5-hour time change it’s hard to all meet up on Second Life therefore Facebook enables us to talk about our group project on a daily basis. the only set back to this is that it’s hard to communicate over a post, it would be easier to talk on SL and express our ideas in a more clear manner without delayed responses. Using Twitter was confusing at times because I didn’t always receive the notifications and my personal and class account would get mixed up. Twitter’s character limit also didn’t enable proper communication. It’s already hard to express yourself through text let alone in 140 characters! All in all I believe Facebook is the best option. The first blog I went on was Dolce Merda http://dolcemerda.com/. The vast number of pictures definitely caught my attention. I liked the modern feel of the advertisements, simple, atractive colors, limited writing. Today’s society has a limited attention span; we enjoy things to be as simple as possible, a straight-forward advertisement will bring the attention of more customers than a complicated one. That’s why Instagram, Vine, Twitter are so succesful. What do they all have in common? Brief mediums of communication. But just because something is short, it doesn’t mean a loss of quality. The next blog I went on was Brain pickings http://www.brainpickings.org/. I thought this blog was very interesting. She writes reviews for well-known books and gives her personal opinion and analysis. There were a lot of books I had never heard of that I’m interested in reading now. Her writing style and frequent use of aethetically-pleasing pictures draws your attention to what she’s saying. This is definitely a blog I’ll be spending a lot of my free time on. Following this I went on Illustration Friday http://illustrationfriday.com/blog/. I’m not a big comic person so I wasn’t able to appreciate all the different comic illustrations. However as I scrolled down they had different kind of illustrations that were very vibrant and dynamic. As someone who lacks talent for art and graphic design I was very impressed with some of these illustrations. I really liked Chris Brogan’s blog http://chrisbrogan.com/like-facebook-twitter-days-doesnt-matter/. His blog entries are very easy to read and generally talk about current topics in the technology and social media aspect. His blog entry ‘Why I Won’t Stop Blogging’ was really hepful. I’m new to the blogging world and he gave good tips on what to talk about and what to expect. The last blog I looked at was Style Pantry http://www.stylepantry.com/ which offers beauty, styling and fashion tips. Every few days they post an outfit along with details on where to buy these items of clothing. This gives the reader the opportunity to purchase ‘the look’ and can be useful for people who are interested in fashion. While reading all of these I noticed there’s an eclectic number of blogs out there for people with all kinds of interests. I’m new to blogging but so far I identify with Chris Brogan’s blog since his entries are composed of his thoughts and opinions as opposed to a theme based blog (fashion, graphic design, books).